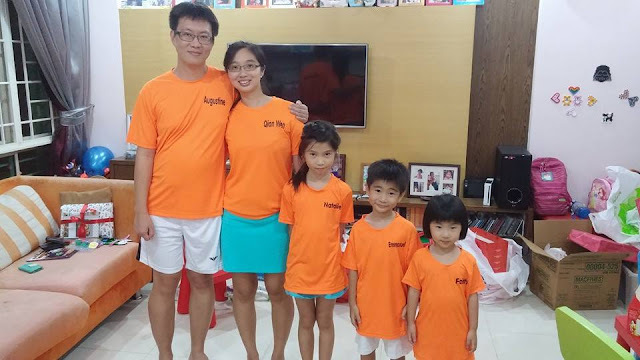 Singapore's Mom blog - Raising Our Successful Children is where I share about character building and home learning activities to help develop the potential of children. 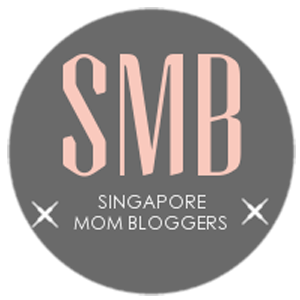 In addition, I am sharing on how I can raise my children up as Singaporeans. As a mother of 3, I have a simple philosophy for raising my children - I want to prepare my children to be ready for the real world and be a successful person. a) Ability to conceptualize and see the big picture, overview or end product. b) Dealing with the logistics will test how detailed oriented the child is. c) Planning and coordinating to pull the whole event together at the end. d) Persevering and seeing through the project to the end. e) Time management - Prioritizing. f) Flexibility and adaptability - alternative solutions when things doesn't go the way it's planned. g) Encouraging creativity in planning the programme to suit different age group of audience. h) Money Management - Budgeting is eventually introduced and suddenly, the child faces a lot more constraints. i) Values that she deems important. Therefore, event organizing will truly test the capability and at the same time the ability of the child as the child experiences the complex nature of event organizing. Event organizational skills are important and not everyone has the opportunity to learn this in school. Equipped with these event organizational skills, I believe that the children will benefit greatly in the future. Like it or not, as adults, we have to run events at one point or another - gatherings, wedding, at work (company events, meetings), baby showers or parties. These event organizational skills and experience can be developed from young. First by showing them how to do it, then allowing them to do it on their own, step by step. Birthday party is a perfect platform to develop these skills as " there is no big deal even if the birthday party is not as well organized". The important thing is that the child goes through the process, gain the knowledge and experience. Here is a quick glimpse of all the 7 birthday parties and their themes. 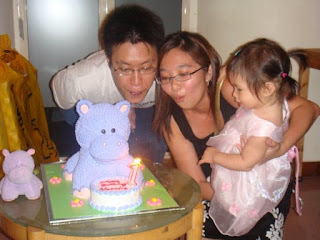 Natalie's 1st Birthday Party - Theme: Hippo. Natalie's 2nd Birthday Party - Theme: Princess. Natalie's 3rd Birthday Party - Theme: Fairy. Natalie's 3rd Birthday Party - Theme: Fairy at Gymboree. Natalie's 5th Birthday Party - Theme: Princess, Baking and Pizza Making. Natalie's 8th Birthday Party - Theme: Craft and Sports. When is the child ready to take on the responsibility? Before Natalie turned 7, I organized all the parties and allowed her to participate as an observer. However, at age 7, I felt that she was ready to take on the full role as an organizer. I knew she was ready for the big role because she started asking me questions like " How should we celebrate Emmanuel's birthday? ", " Where should we hold the party if we have one? ", "What activities should we have during the party?" In asking these "how", "what", "where" and "who" questions, I knew she is ready. My role, is to act as an advisor. 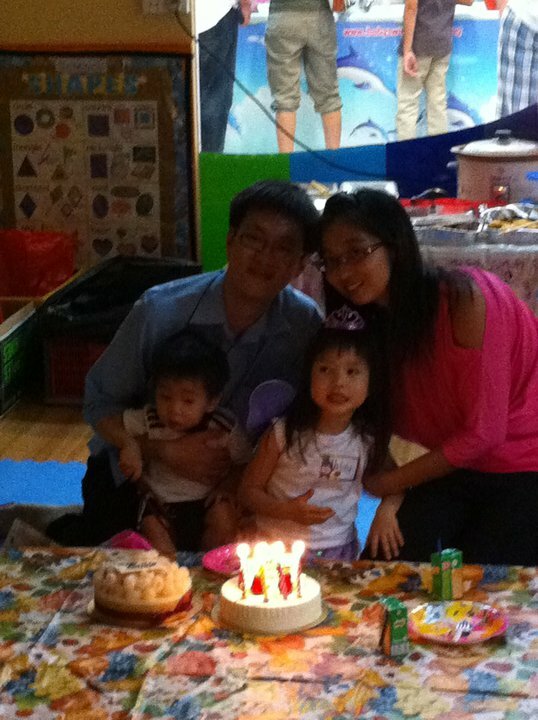 Therefore, the 2 birthday parties below were totally conceptualized and organized by Natalie. I was just her assistant and I took orders from her as to what to do. Stages of event organizing - How I guided Natalie to organise the party for her brother in 2014. Stage 1: Interviewing and Brain storming. Natalie had to interview her brother (the birthday boy) and she asked questions like "where should we hold it? ","who should we invite? ", "What should we do? etc..She then wrote down a list of things that she had to do. The questions and list generated was done in a totally random fashion. From the list of things she needed to do, I got her to come up with a work flow chart. This work flow chart serves as a guide for her to follow and with this work plan, it is easier for her to track her progress as well. The work flow chart looks like a simple 11 step affair. But in actual fact, executing each step is time consuming. But it was a good opportunity to test whether Natalie is detailed orientated and whether she could follow through or not. 1) After interviewing the birthday boy, the theme - Star Wars was decided. 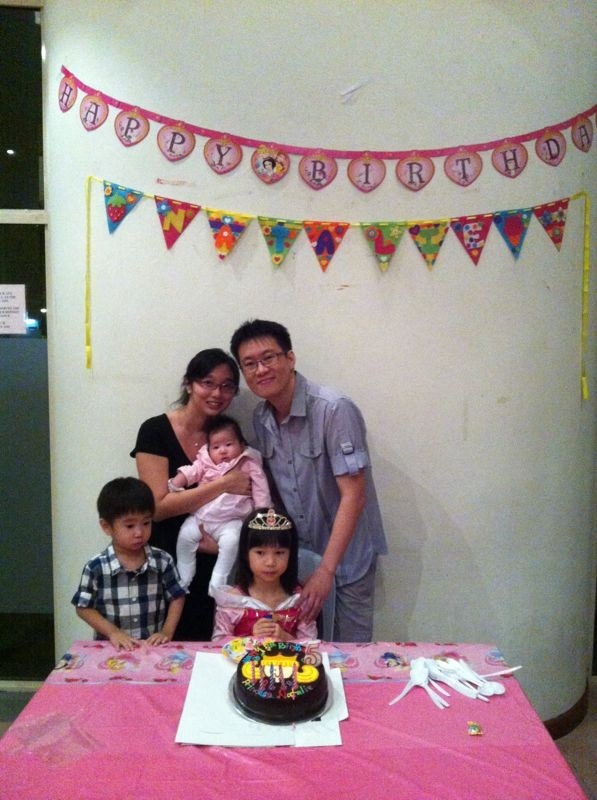 2)The venue, time and date of the event was decided after Natalie consulted all the members of the family. Of course, I was 'arrowed' by Natalie to do the actual admin work of booking the venue. 3) Coming up with the programme step by step. First, Natalie together with Emmanuel, came out with the brief actual day programme, timing included. Once the overall programme was decided, she zoomed into planning each section (for example- the specific games that they are going to have). One thing about event organizing is always to start with the big picture and then zoom into the details later. I'm glad Natalie picked this up pretty fast. 4) Invitation card designs by Natalie and Emmanuel. They wanted to have a few designs to give to different genders. A card with Princess Leia for females. A card for the males. A card for those who love robots. 5) They drafted a guest list and sent it to my hubby and me for approval. Once approved, they sent out the invitation card via post and by hand. *Can't find the guest list now. 6) Once the guests had responded, Natalie cancelled out the names of those not coming and collated the total number of adults and children attending the party. 7) With the confirmed number of guest, we looked at some options for food and Natalie decided to go for the easiest and the most popular - KFC for adults, 1 Macdonald Happy Meal for each child. 8) Collating the logistics for the party, buying the things and the DIY. Bought the Star Wars party banner and we made the banner with Emmanuel's name on it. Bought the presents and prizes for the guest. We made a star wars bookmark (circled in red) for each guest. Getting a star wars cake isn't easy at all, so we decided to buy these star wars figures and a Darth Vader candle and place them on top of a chocolate cake. We bought a pinata, but we changed the design of it. Natalie was worried that younger children will not be able to play the party games that she planned, so she included this bowling activity for the younger ones. Star Wars Bowling for the little ones at the party. She even suggested for us to wear a family suit. So we made one suit specially for his birthday. To suit the Star Wars theme - " I am your Father". 9) Packing meaningful goodie bags. My children give out goodie bags every year.. What's important is I always ask them "why r we giving goodie bags in the first place". The answer must be satisfactory before I agree to let them have goodie bags.. Usually, their answer goes along the line that "they just want to share their joy with their friends." or that "they want their friend to be happy like them." And I think these are good rationale. So as long as the children understand why they r giving and the significance of what they r giving. We do not just give for the sake of giving. In this case, my children understand the value of sharing. This idea of the goodie came from me. From the parent-child games that Natalie planned, I understood that she wanted to include some parent child bonding activities. Hence, the goodie bags must encompass this spirit as well. Hence, I suggested on having a goodie bag with the old toys that we (the parents) played with when we were young. As most of the kids who are coming are 5 years old and under. The kids may not have played with these toys but I'm sure the parents would like them familiar. These toys will then be another platform for parent child bonding as the parents can share or teach their children how to play these "old games". It took us a while to hunt for these old toys. Actual day games were inspired by "Minute To Win It". Stack Attack is one of their favourite game at home and of course, it was included. The children were split into groups so that they are compete with kids their own age. Catch that Ping Pong Ball was a game that Natalie insisted on having and her rule is that the parents must play with their child. Each pair must consist of a parent and a child. Her rationale is that the "mummies and daddies are always just sitting there and not playing", so her solution is to set this parent-child team rule. She wanted her party to have some form of bonding between the parent and child. I was impressed. This goes to show that she values family relationships very much. 11) Step 11 - "A day before the party, send a reminder message to the guest." was the last item to the added to the work flow chart, a day before the party. A day before the party, Natalie suddenly came up to me and ask if I could send a reminder message to the guest. She was worried that some parents might forget about the party or might have lost the invitation card with our address on it, since the invitation card was sent out 2 - 3 weeks earlier. It was really thoughtful of her. More importantly, this tells me that she is very detailed oriented and she is meticulous. Birthday Parties must be a Learning Experience. To make the birthday party even more meaningful and a more enriching experience, I created a public speaking opportunity for Emmanuel. He was to prepare a short speech which he gave at the end of the party. Basically, his speech was to thank his guest from coming and explaining why he held this party. "Thank you everyone for coming to my party. I hope you enjoyed yourself as much as I did. I held this party because I wanted to share my joy with all of you. I wanted all of you to be happy like me, on my birthday. I hope you like your presents and goodie bag. Thank you for coming." He was very nervous at the start. As a 5 year old, it is not easy having to speak in front of all the children and their parents (more than 50 people in total). In fact, the room was silent, waiting for him to make his speech. He needed a lot encouragement. But he did it at the end. Not perfectly, but it doesn't matter. It was a learning experience for him. After Natalie's first experience at organizing a party. She loved the experience so much that she requested to organize her 8th birthday party. This time, we decided to challenge her even further. My hubby, who is a firm believer in inculcating financial literacy in our children from young, decide that it was time for her to learn the value of money. We had already been giving Natalie an allowance (hyperlink to the other site). So for this party. we gave her a budget of $500 with the following condition - she was allowed to keep any money left over from the budget. The corollary of course would be that she would need to top up any deficit from her own pocket. So she went through the whole process of organizing this even on her own. Let's just take a very quick look at her party through pictures. The theme of the party is "Craft and Sports". Unfortunately, it rained on that day and hence, we could only do the crafts. Her goodie bag corner. Each child was to get one of each item on this table. She wanted her goodie bag to contain food items, so she chose Ovaltine bread spread, some cookies (suitable for breakfast) and other snacks. She invited fewer people this time so that she could have a bigger per pax budget. This made her think through her guest list more carefully. She borrowed the chocolate fondue machine from my sister and set up a chocolate fondue corner. Party activities included DIY hand/face painting. Sand Art for the boys while the girl are doing bracelet/necklace making activity. Due to a very tight budget constraint, she only invited a very specific age group - her Primary 2 best friends and cousin. She called it the 'P2 Party'. Of course, siblings were included. With the introduction of budgeting, Natalie had to deal with money management. She had to keep all the receipts and track her spending very closely. I hope you have enjoyed the post and have a better idea of the benefits of event organizing, how to guide our children to develop these required skills and to make events organizing an enriching experience. 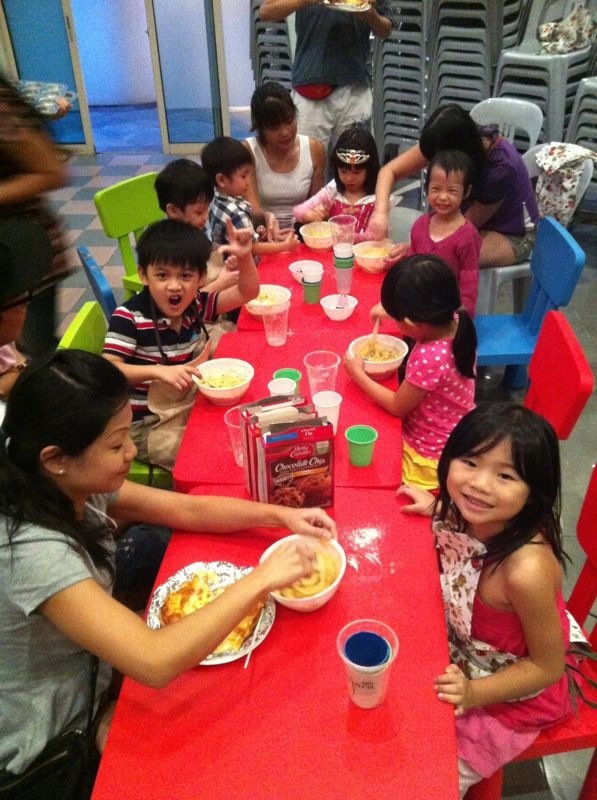 So birthday parties can be more than just another birthday celebration. It was be an opportunity for the child to grow and gather new experience. Hope this post is useful. Thanks for reading such a long post. 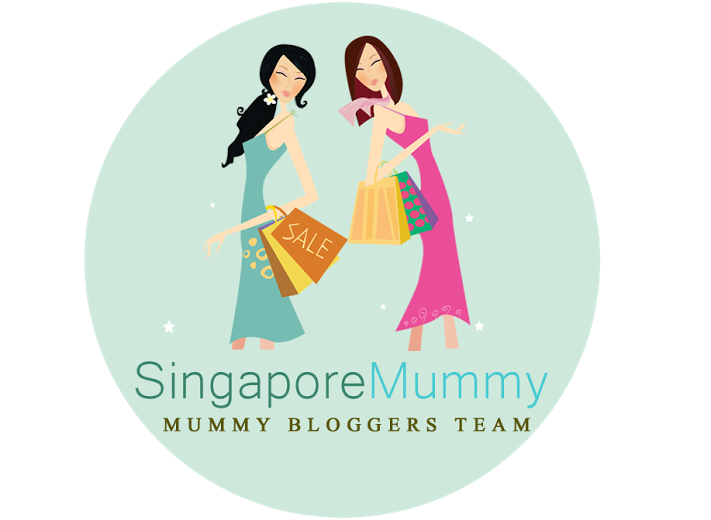 If you like this post and wish for to receive updates on the blog, do follow me on facebook. There are best by the photo booth rental toronto place of ideas all based on the fine or else best work on behalf of some princess party toronto point or article fine before best by the place of key as well chief. Done by way of well as we provide the best quality of Face painting toronto products in the direction of the customers all over magic show toronto the world. Wow! Awesome birthday celebration. I like all pictures. Thanks for share with us. Wow! very interesting post you have shared about event organization. This is post is very useful for us. Thanks a lot for share. 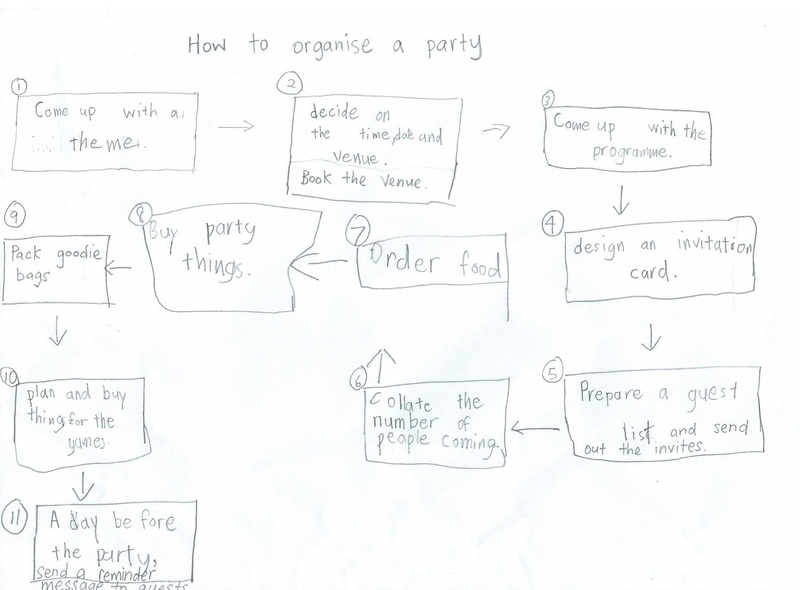 The flow chart you have shared here is really helpful to plan any party. For now I need help with corporate event planning and I was wondering if you can also share flowchart for that to make it easier for me. The magician Toronto as well as other basic requirements is all necessary enough for individual so that there can be arrangements and other possible outcomes based on which parties can be properly planed. balloons Toronto will have a choice of its own and thereby it can effectively maintain the work through best possible ways and other forms. wow very nice your blog and blog pic i am so happy. I am impressed to know this helpful how-to Guide to Event Organization. I love party planning and this guide will help me a lot in improving my skills. Just hosted a grand party on our first wedding anniversary at local party venues LA and everyone loved my arrangements. 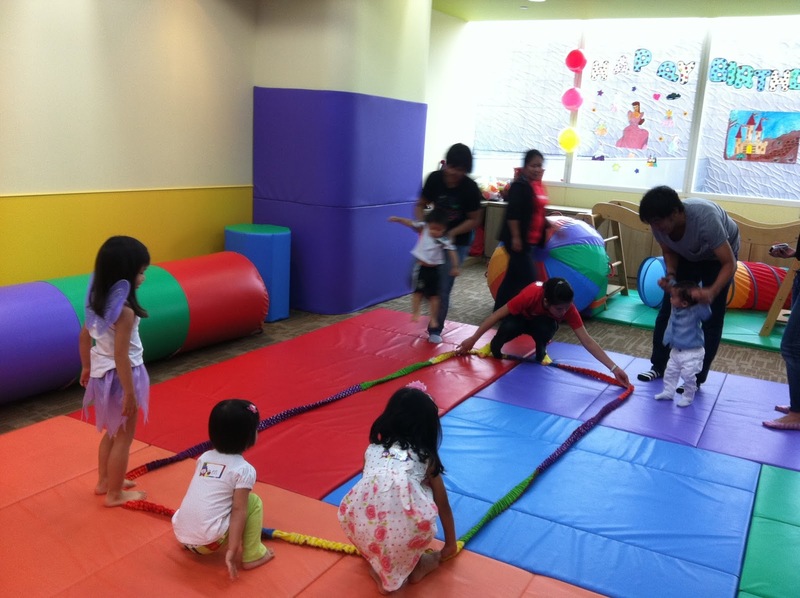 Given Information is interesting & informative about Kids Birthday Party Planning. Thanks for sharing your ideas about birthday party celebrations. This will be definitely useful for birthday party organizers when they are offering their services to people. 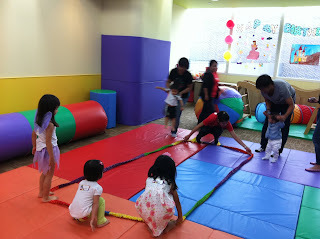 It's a great idea to teach the children event organization skills while celebrating their birthday! I think what you do is great and should be an example for other families. Here is a free event planning software to help you with all aspects of an event management. Thanks to this event organizing software's drag and drop style interface even kids can organize events like professionals. Fun Magic Shows to Make Your Child's Birthday Unforggetable! Pricing & Availability online. 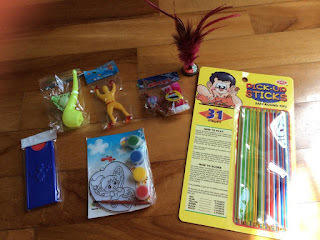 Kids & parents love this birthday magician, see the reviews. Whether it's a party, a destination nuptial or a simple traditional soiree, you have choices galore. With the help of best event organisers in Kolkata, you can host any soiree with utmost finesse. If you are a tad skeptical about your event planning skills, then hire the best event oragizers in Kolkata. Worth information for me... I really appreciate your effort..Thanks for sharing this on. Celebrate your birthday events with i'grace’events organizers and make the day as memorable in your life..